There are so many high-concept scifi movies out there, it’s always interesting to hear about one with an original premise. And that’s exactly what Radius has. 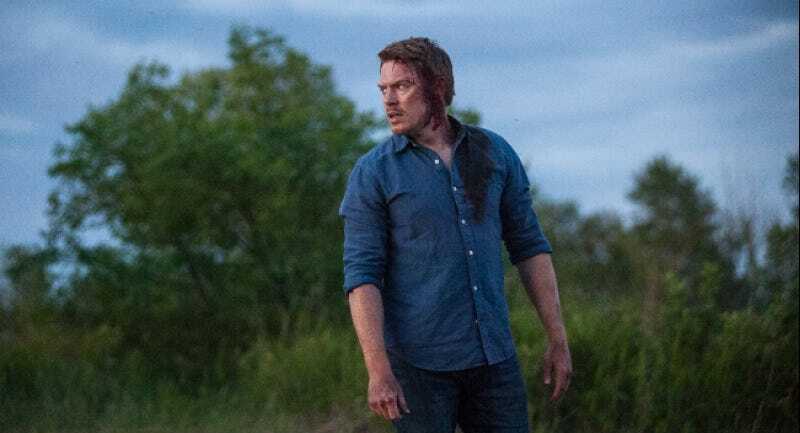 Co-directed by filmmakers Caroline Labrèche & Steeve Léonard, Radius is about a guy who wakes up from an accident with no memory and an unfortunate power: if anyone ventures too close to him, they die instantly. How that premise fits the story—which also features a second main character, a woman with a similar amnesia and deadly distance-related abilities—remains a mystery. It seems like their powers are connected? We aren’t sure. But here’s the trailer for the film, which is currently playing the festival circuit. And if that guy looks familiar, good job. It’s Diego Klattenhoff, best known for his work on Homeland as well as in Pacific Rim. There’s no release date yet (and buzz from festival screenings hasn’t been great), but the set-up is so interesting, it feels like one of those movies you really want to give a try.